We all love to find that great buy at the thrift stores. There are sometimes though items at the thrift store that leaves us wondering, WHY? As in why are they there and not in the trash. Maybe it’s a dresser with a missing drawer or mismatched drawers. Or a stand that has seen better days. 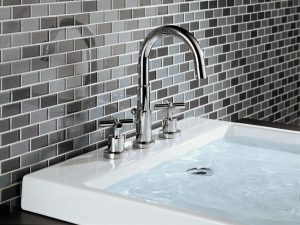 What you will find with these items is that they are an amazing deal and sometimes you can barter the price even lower. Why do they get looked over in the first place then? It’s pretty simple. It is because most people go to a thrift store looking for something usable right off the bat. Instead, go on your next trip to the thrift store with a crafting mindset. You will see all the great items that are overlooked that you can flip for yourself, gifts, or even profit. 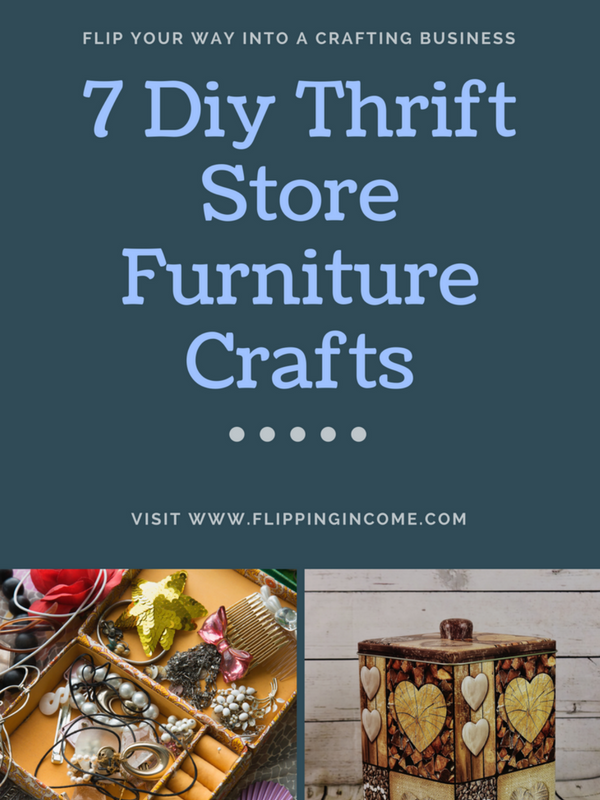 So to get you started and to learn what to look for, here are 7 Diy thrift store furniture crafts that you can make. 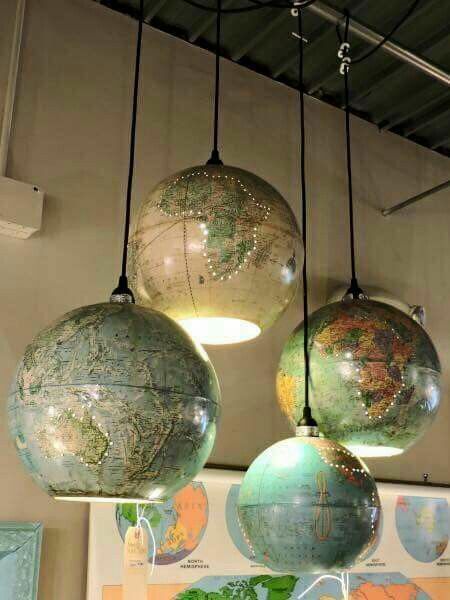 There is always some type of globe at the thrift store. Why not spruce it up and turn it into a creative light. Making it a table lamp? You will need a lamp kit. Making a hanging light? You will need a hanging light kit. Then start crafting and you will end up with a very creative piece of not only art, but also lighting. Something like this could easily sell for $25 or more on Etsy. #2 Not Crafty? Even You Can Restain. 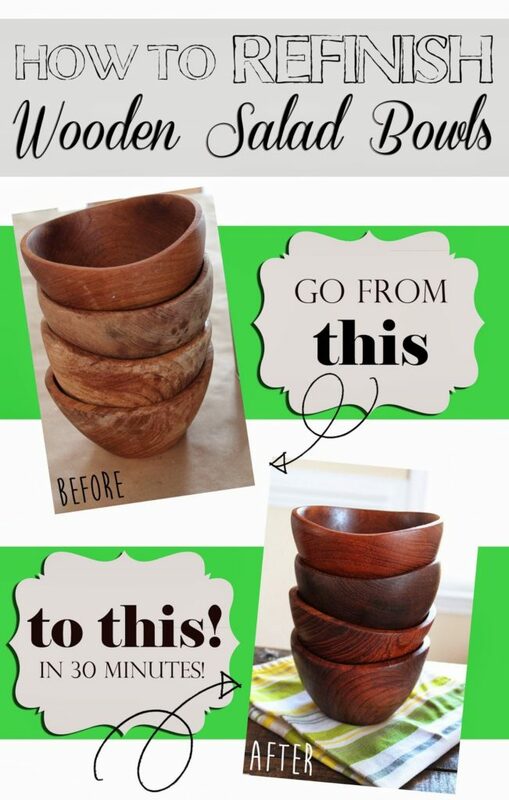 Remember those wooden salad bowls. They are still around and coming back into a style that a lot of people desire. What is great is that you can find these items at pretty much any thrift store. The only thing is that they are usually beat up more times than not. Don’t let that deter you though. Usually all they need is some quick TLC and they are looking amazing again. Fine, medium, and coarse grade steel wool. This is a great pack with all 3. You know the bookcase when you walk into the thrift store and it has holes cut out of the back and other beat up factors. This time don’t skip over it. 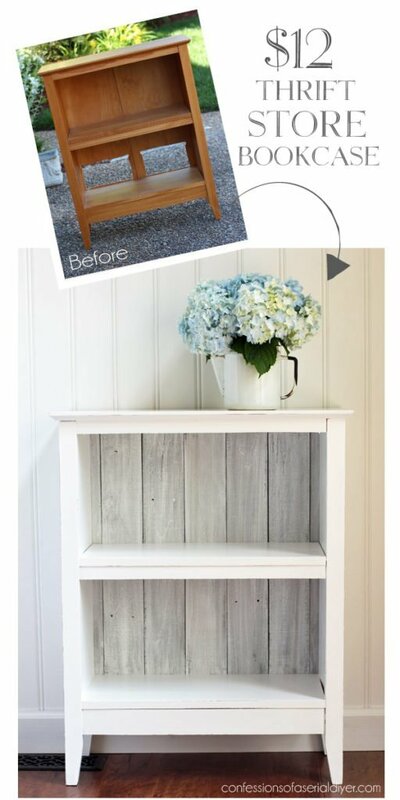 Instead get a good deal on a bookcase that you can flip and repurpose with some pallet wood. Pallet wood, which you can usually find pallets for free. Like the white wash look? Try this white wash pickling stain. Here are some great stains for wood. 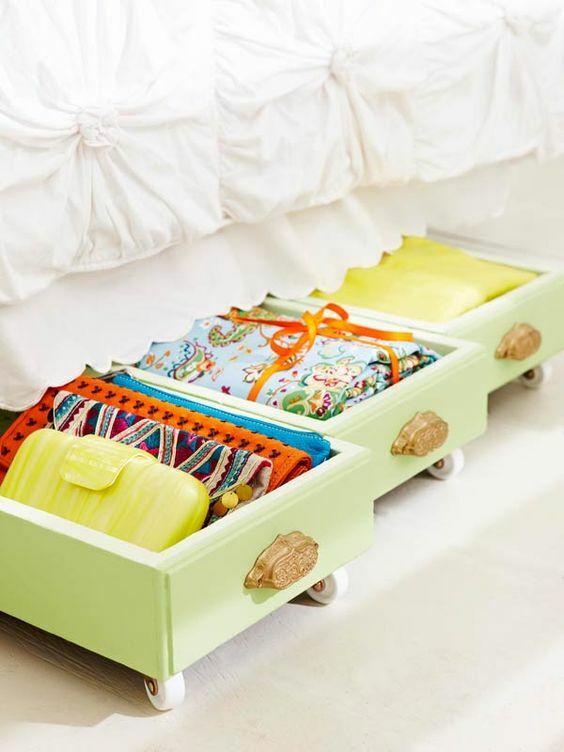 That dresser with a beat up drawer or a few missing drawers, is a crafter paradise. The dresser may cost you say $30, but the income that you can get from flipping parts from it pays for itself and then some. You can take the dresser and turn it into a bookcase itself, without the drawers. Then with the drawers you can flip into bookcases or as entables or just small side tables with a shelf. This is similar to the previous Diy thrift store project, except this time we are keeping the drawers horizontal and making roll-away storage for under your bed. 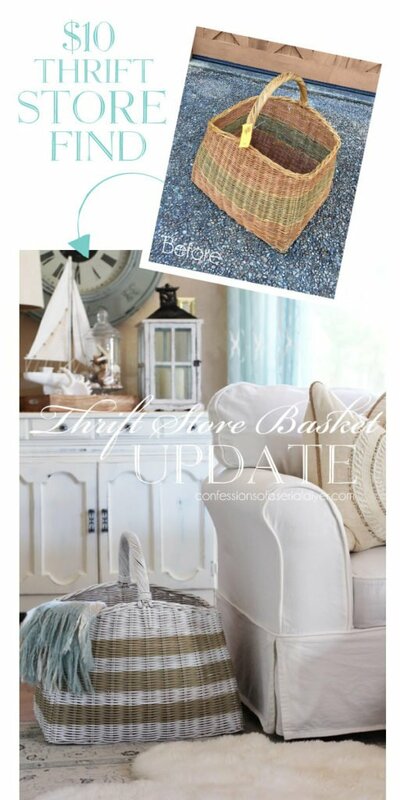 There are tons and tons of baskets at thrift stores and you can usually get a good deal on them. The ones you don’t want are any that are broken, as they will not work for this craft. What you are looking for are ones that are faded in color or just plain wood colored. As a parent or even someone who has nieces and nephews (grandkids, friends with kids, etc. ), you know it makes it easier when they can tote around some toys to help entertain them. 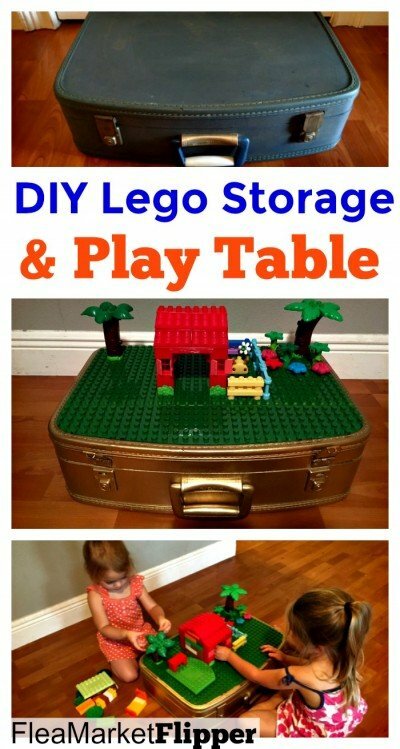 With some of the older suitcases floating around the thrift stores you can really get creative with them and flip them into a kid’s paradise. This thrift store crafty is a great idea to do for Christmas or birthday presents. Plus you could easily flip this project and profit from it. Hope that you enjoyed these 7 Diy crafts that you can look for the items to start them on your next thrift store spree.